Chocolate is a fabulous topic – a perfect way to excite and engage children, and it links to so many areas of the Primary school curriculum. The chemical structure of chocolate is complex, making it a difficult substance to work with! 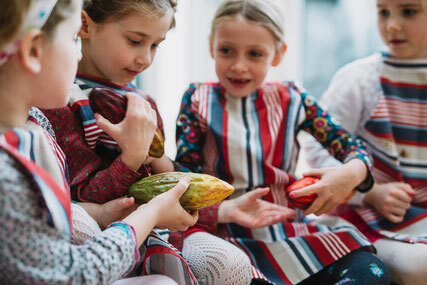 If any of the above topics are covered in the curriculum at your school, then you may be interested in a chocolate-themed event. I offer 2 workshops – a talk and tasting, or a hands-on chocolate making workshop. I bring everything required to your school – I just ask you to provide a classroom or hall for us to work in (which just needs to be kept cool on the day). Please note that whilst I do not use any nuts within the parties/ workshops I do have nuts on my premises, so this activity may not be suitable for people with nut allergies. I am fully covered by public liability insurance, hold a current food hygiene certificate, am DBS checked and will provide a full risk assessment. Chocolate Talk and Tasting experience is only £175 per class. 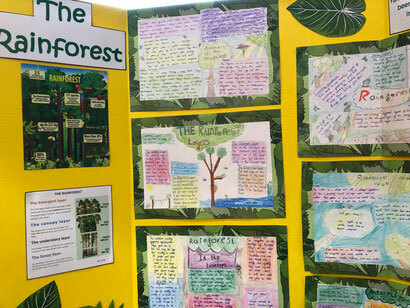 The workshop was really hands on and jam packed full of information for the children to enhance their skills and knowledge (And the teachers too!). It was a great experience and there were groans when the workshop was over!